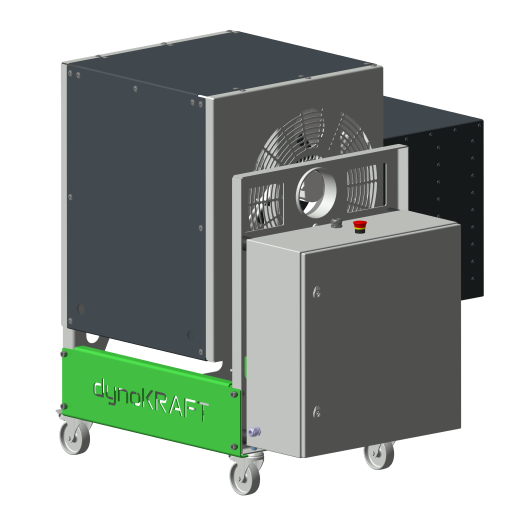 The dynoKRAFT CFM15 mobile cooling fan offers high air output in compact size. 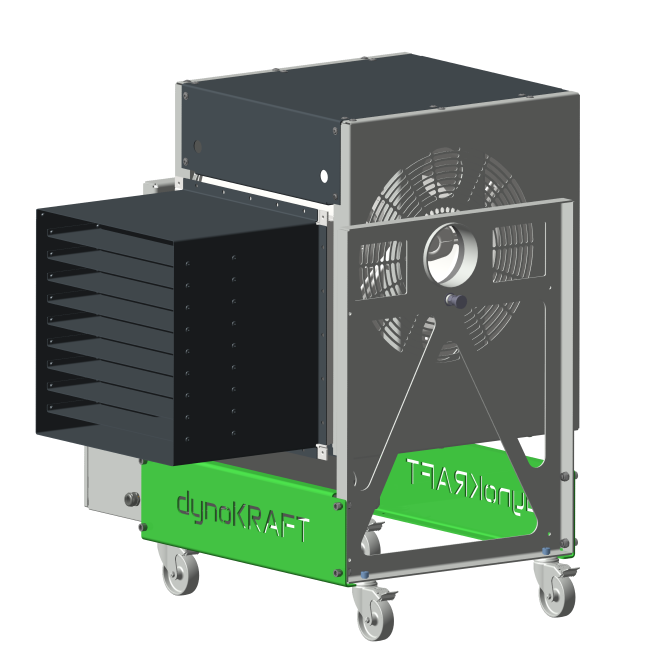 This mobile cooling unit offers manual control through variable resistor or automatic, vehicle speed related output control (through DAQ control signal). 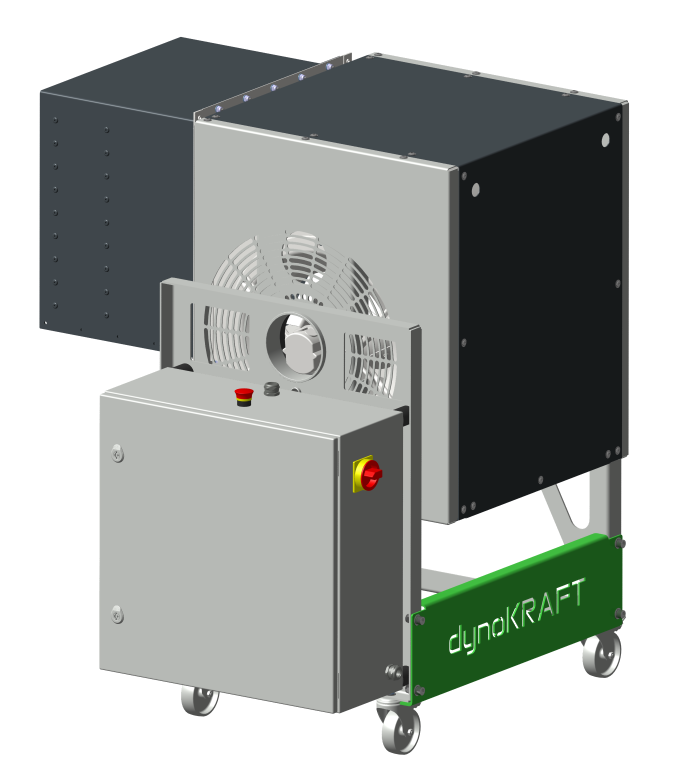 The unique design of dynoKRAFT CFM15 allows users to change the output-height and switch between Motorcycle and Automotive application in just seconds. You will no longer need to use separate fans for different vehicles and no longer have to worry about engine overheating problems. Additional shipping costs may apply – contact us before ordering. (*) Other electrical systems available on request at no extra charge. (**) The SP5 / SP6 DAQ system is sending an signal to control the fan output 0-100% in relation to vehicle/roller speed. Without the DAQ only manual operation is possible.